Let’s be real: Five Nights at Freddy’s games are not pretty. That’s part of the charm. Still, it’s something else to gaze upon a version of FNAF that shows us what the games could have looked like with modern graphics. 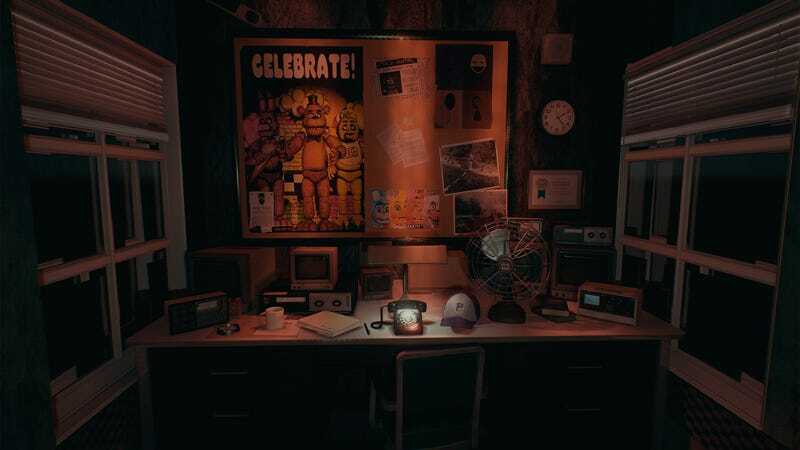 Behold: Five Nights at Freddy’s, remade in Unreal 4 by Redditor Adam ‘Sklarlight’ Sklar “I decided to try and recreate the offices and locations from the first three games,” Sklarlight wrote. You can view those locales below. Adam Sklar notes that this is just a conceptual thing, and not actually a game that is in development. It’s kind of too bad, because I would have totally played a FNAF clone that looks like this! You can view more pictures of Unreal 4 Five Nights at Freddy’s here.